The People's Bank of China (PBC) cut the reserve requirement ratio (RRR) by 50 basis points to 19.5 percent, effective on Feb. 5. 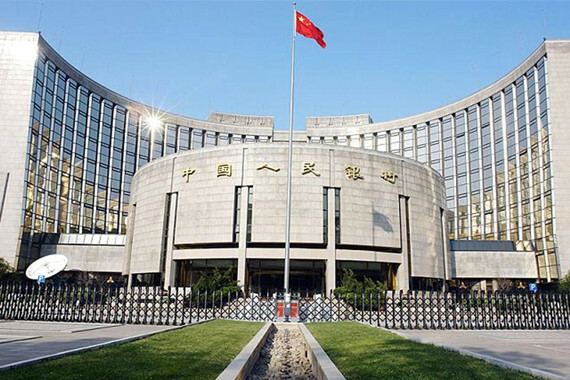 Following the easing by its peers globally, the People's Bank of China (PBC) cut the reserve requirement ratio (RRR) by 50 basis points to 19.5 percent, effective on Feb. 5. The PBC also increased support to targeted areas, cutting the RRR by extra 50 basis points for qualified banks lending to small firms, the farming sector and projects in specified areas, which can promote economic transformation. It is well known that the PBC was cautious in terms of permanently injecting liquidity using the RRR cut in 2014, as the government does not want to support the "old economy" because it can delay the structural adjustment, worsen the leverage and debt level, and fuel asset price bubbles - property and equity. However, both the economic data and liquidity figures from recent weeks point to increasing pressures for further and effective easing. The monetary easing from global and regional central banks has also put more pressure on the PBC to ease. It is expected that there will be more RRR cut in 2015. The PBC will use a combination of RRR and interest rate cuts in this easing cycle, and will ease at a measured and calculated pace. With the PBC feeling more comfortable using the broad-based liquidity injection measure, Barclays is now looking for a total of three RRR cuts in 2015. They kept their forecast of two interest rate cuts in Q1 and Q2, but think there is one less risk, given that in China RRR cuts are more effective at lowering the interest rate than the benchmark interest rate cut. The RRR cuts are necessary to effectively bring down the cost of capital. The asymmetric interest rate cuts in November, coupled with the rise of the deposit rate ceiling to 1.2 times the benchmark rate have been ineffective in lowering lending rates. Fundamentally, reduced capital inflows have slowed money creation, increased debt rollovers have made a significant portion of capital in the economy unproductive, while weak demand and high RRRs have reduced the money multiplier. These all point to tightening liquidity, which cannot be eased by targeted or short-term liquidity injections (ie, SLO, MLF, SLF, or reverse repos). It seems that a blanket RRR cut is unavoidable. (4) Equity market movement and regulations (indicating asset bubble risks).